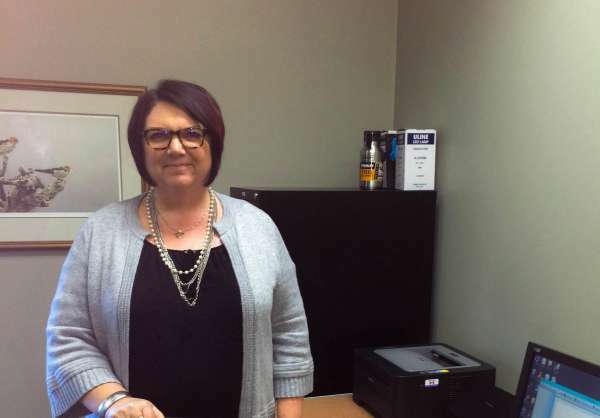 Bev McKay is an FYidoctors Practice Coach based at the Atrium on 1st location in Saskatoon. Her role involves coaching staff on processes, programs, and product. Today, we sit down with Bev to get her perspective on why healthy vision is an essential part of a quality lifestyle, and learn a little more about her, too. My role is to coach our employees, support them in their personal development, and perform human resources management, as well as general management and leading our team by serving and sharing. We have both a small and large clinic and the unique opportunity to experience working in both environments. I started in contact lens manufacturing and wanted to work in health care, so assisting in eye care seemed to be a natural fit. I love helping others and sharing in our team’s success. It is challenging to not always be prepared for change. One of my favourite moments was when a patient inserted her custom contact lenses and was brought to tears of joy because she was able to see clearly for the first time since she was a young child. I see highly advanced technology and extreme automation in the future. The most important advice for our patients is that healthy vision is an essential part of a quality lifestyle. My eyewear style tends to change with the times. I like to wear what's current. These days I may be hanging out with family, listening to music, satisfying my thirst for knowledge, or enjoying solitude in nature. Do you have a special memory you’d like to share? I have many fond memories and I have had the good fortune of working with many brilliant people over the years! If you’re interested in reading about more incredible FYidoctors employees, navigate to our blog.